We propose a new method for controlled system synthesis on non-deterministic automata, which includes the synthesis for deadlock- freeness, as well as invariant and reachability expressions. Our technique restricts the behavior of a Kripke-structure with labeled transitions, representing the uncontrolled system, such that it adheres to a given requirement specification in an expressive modal logic, while all non-invalidating behavior is retained. This induces maximal permissiveness in the context of supervisory control. 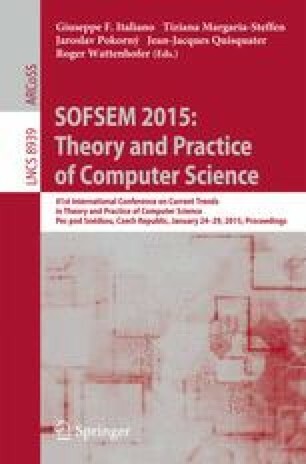 Research presented in this paper allows a system model to be constrained according to a broad set of liveness, safety and fairness specifications of desired behavior, and embraces most concepts from Ramadge-Wonham supervisory control, including controllability and marker-state reachability. The synthesis construction is formally verified using the Coq proof assistant. Supported by the EU FP7 Programme under grant agreement No. 295261 (MEALS).